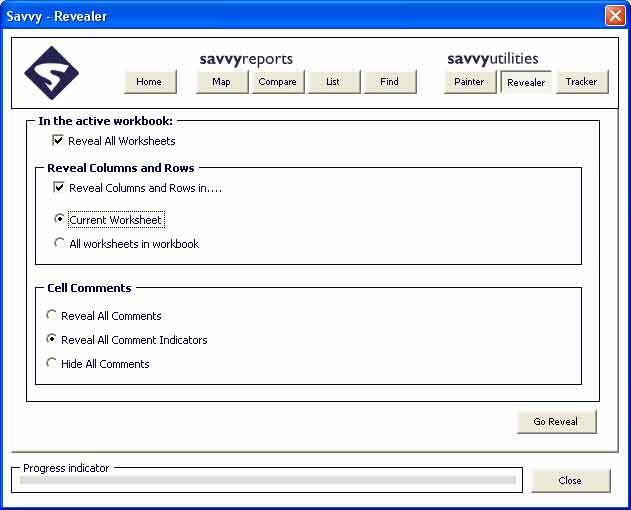 Savvy Revealer: Savvy Revealer is designed to help speed up and identify hidden parts of the excel work environment. Often when models are being built, the modeller may want to hide certain parts of the model from the user. 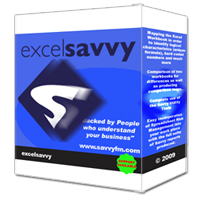 In order to thoroughly examine the whole excel work environment, Savvy Revealer should be used. The power of this utility allows the user to save valuable time and often uncovers areas of the model that would otherwise be missed. Example Scenario : "I received a bidder model but I can only see the key results worksheet, where are the other worksheets?" Savvy solution : "Use Savvy reveal and by pressing one button you can unhide all the worksheets in your bidder model and also unhide all the rows and columns in every worksheet in the model."